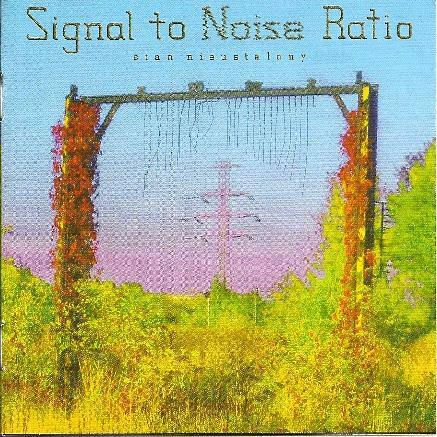 Signal to Noise Ratio - "Stan Nieustalany"
The promising debut from Poland's Signal to Noise Ratio is a small prog rock tour de force. Combining complex rhythmic structures with understated guitar and stellar keyboard work, the band may draw on stated influences like Amon Dúúl II, Jethro Tull and King Crimson, but in reality, bring their own unique sound to the musical table. The album opens with a brief intro featuring some guest musicians on viola and oboe, before the album proper kicks in with Mesjasz, one of three songs on the album to feature prominent guest vocals (the rest are instrumental cuts). Swirling organ arpeggios, buzzing synths and crunchy guitar slip and slide around a complicated rhythmic structure. On Centryfuga, the rhythm section plays a frantic rush of grooves that propel the song forward with dazzling dexterity, as the lead guitar slices and dances through it, reminiscent of some of the better work of Ozric Tentacles. But after that, the band take a sharp left turn into unknown territory with the nearly 14-minute long Entropia. The slowly developing minimalist epic delves into eccentric and exotic melodic lines over a rambling and quirky rhythmic arrangement layered with subtle drones and experimental textures. Eden returns us to a more upbeat approach with 60's sounding organ and flute thrown into the mix. Marzenie, on the other hand, is a totally fuzzed out, angular rocker with quirky vocals. Opium is a slow and mesmerizing, not to mention very trippy 11-minute journey that finds the band exploring eastern melodies in very unique ways. Kruk ends things on a jazzy note, with some nice acoustic piano leading the rest of the band. There is a sort of bonus track too, though it's not stated as such. It's a remix of Centryfuga that turns into a stormy, near ambient kind of piece, de-emphasizing the rhythms and leads in favour of sonic textures. All in all, Stan Nieustalony is a fascinating album. Some of the songs are quite accessible, whereas other tracks, with their complicated rhythmic structures and atonal counterpoint can be much more challenging. It all makes for an intriguing blend, and Signal to Noise Ratio is definitely a band to watch.